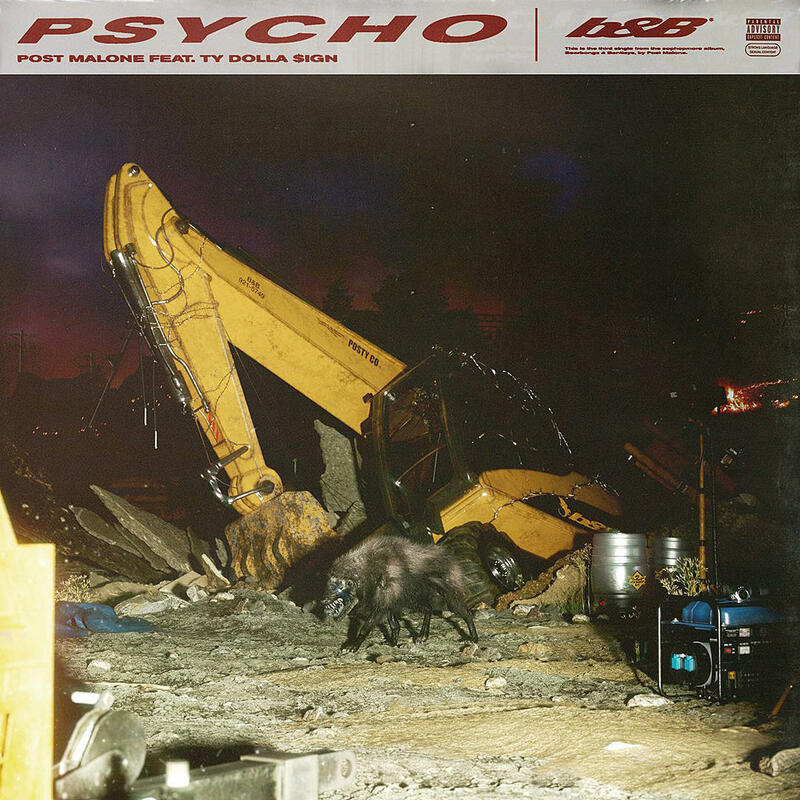 So Post Malone’s Beerbongs & Bentleys album is coming soon and he has just dropped a preview of a song called ‘Pyscho’ that will feature Ty Dolla $ign. The track is expected to drop tomorrow and in the 30 sec snippet we hear Post bringing his signature melodic style which sounds crazy. The artwork for the new cut features an image of what looks like a crazed wolf and a Bulldozer.